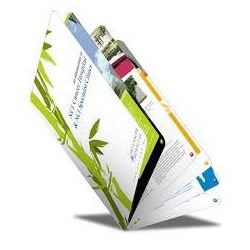 Backed by a rich industrial experience, we are engaged in offering a commendable array of Corporate Printed Brochure. Incepted in the year 2007, Pallavi Graphics is a distinguished manufacturer and service provider offering an enormous consignment of Flex Banner Board, Sign Board, Printed Brochure, Visiting Card and Printing Services. Immensely acclaimed in the industry owing to their preciseness, these are presented by us in standard and modified forms to our clients. To add, only optimum class material is utilized in their production. These presented by us in various provisions, these are inspected sternly to retain their optimum quality.